Presentations are an effective tool in all avenues of business. Companies and organizations use presentations for a plethora of reasons, including; training, motivation, and product pitches. 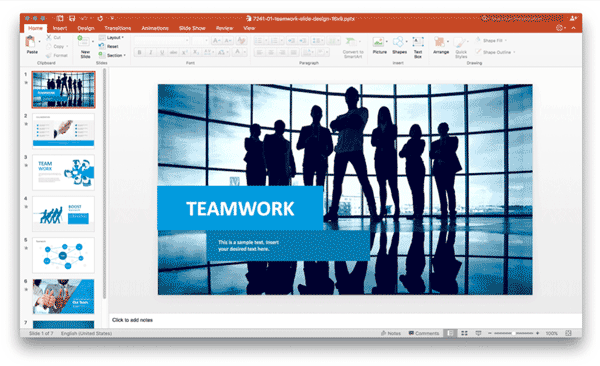 PowerPoint is the software of choice for presenters worldwide. It offers creative solutions, however, options are limited and supplemental resources are often required. Creating and designing a presentation is often arduous and time consuming. Default templates offered by Microsoft PowerPoint are overused and bland. Fortunately, SlideModel.com offers a diverse selection of over 10,000 ready-made Professional PowerPoint Templates for all of your presentation needs. Time is a precious commodity, as such, these reusable templates help you save valuable time and financial resources. SlideModel.com offers limitless possibilities with its wide array of available templates. There is a large list of presentation templates intended to be used for business purposes. At SlideModel.com it is possible to find compelling presentation graphics for business needs, including popular business models and slides with metaphors for popular business concepts. For instance, the Teamwork PowerPoint template is an essential design for training presentation and it is available as a PowerPoint template. All the Professional PowerPoint Templates provided by this site are designed with text fields, title boxes, editable diagrams. 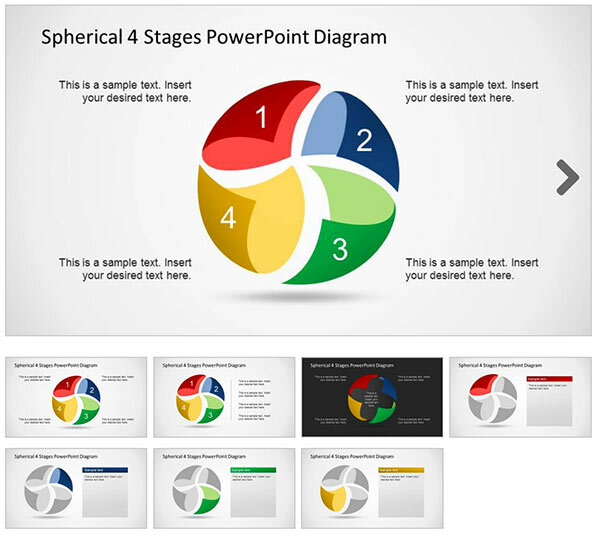 The Spherical 4 Stages presentation template is created with a great flexibility. The four wedges are ideal for business needs such as creating SWOT (strengths, weaknesses, opportunities, threats) or contributing factors analyses. This enthralling design allows for full customization as the presenter sees fit. Each arm of the widget could independently be modified to achieve the precise desired outcome. Ultimately, this approach yields unmatched flexibility by providing users with the opportunity to edit the presentation to their liking. Features such as colors, shadow, 3-D effects, and styles, along with the overall design, are all easily altered for your tailored needs. To add some elegance and flair to your presentation, SlideModel offers a wide range of Professional PowerPoint templates and shapes. 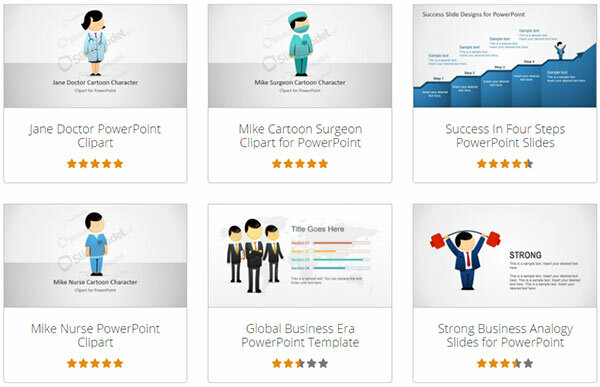 The presentation graphics with editable shapes are very easy to customize to edit and flexible so the end user can add its own content and bring presentation to life. An attractive presentation goes a long way towards impressing clients and in turn, their perspective on what you have to offer. Through the incorporation of shapes, SlideModel offers animated content, creative cartoons, gears, gauges & meters, 3-D shapes, signs, and much, much more. The thousands of editable graphical content is ideal for adorning your PowerPoint presentation. Moreover, the imagery is perfectly alterable to satisfy all requirements and achieve the visual precision that you desire. The endless collection found at SlideModel provides a diverse range of shapes to add the desired outcome to your presentation and leave your audience speechless. 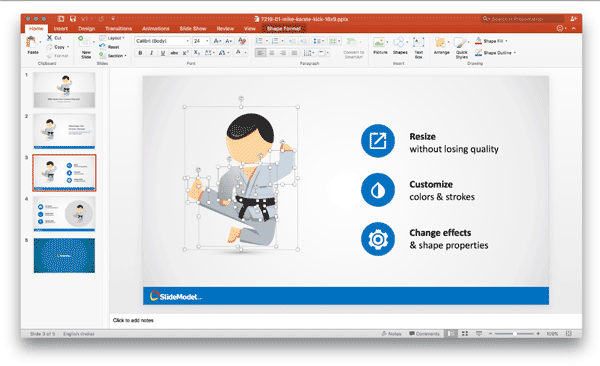 PowerPoint templates created with shapes can be customized to fit the presenter’s needs. The presentation designer can change shape properties such as colors, shadows or other special effects. Further utilizing PowerPoint shapes’ capabilities, dashboards are widely used as opening screens for presentations. The dashboard serves as a tool that introduces content to the audience. It may contain links, graphs, charts, and other elements pertinent to your discussion. 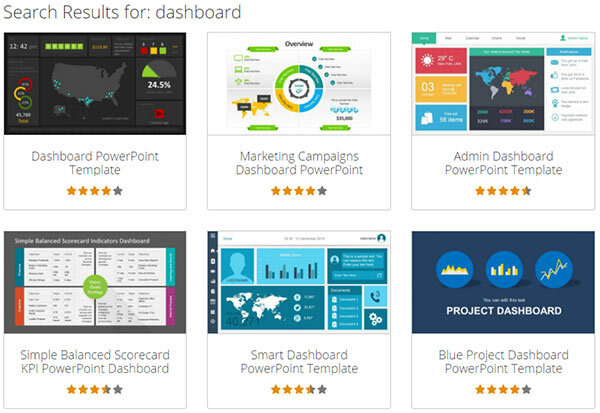 SlideModel offers an enormous selection of dashboard template slides capable of cementing a strong foundation for your presentation. These dashboards strategically include graphs, charts, and text to attract the audience’s attention. Dashboards are a useful resource for individuals of all backgrounds, including; administrators, marketing campaigners, project managers, and educators. There are many in the business world that would also benefit from the utilization of dashboards. The tool provides users with the ability to present accounting and financial data in a visually appealing manner. In addition, SlideModel also offers timelines and roadmap templates that are very suitable for a wide range of planning and project management presentations. This is an extremely useful device for businesses that want to present the progress of projects over time and highlight major milestones. At the click of the mouse, you’ll be provided with timeline illustrations capable of producing mesmerizing PowerPoints that will captivate and inform the audience. Enthralling visuals allow for audiences to follow along with the information that you are presenting and enable you to be as clear, concise, and persuasive as possible. Ready-made timeline slides and roadmap templates are just what you need in order to take that next step towards delivering a presentation for all to remember. Presentations have an overarching impact on all facets of global enterprise. Fortunately, SlideModel is a one-stop resource center that meets all requirements and enables you to deliver an unforgettable presentation. You could rest assured knowing that you’ll find quality, and top of the line resources when browsing the site. Whatever your demands, SlideModel has just want you need to take the next step in growing your business career or organization. Previous: How SEO Helps Your Business?